January 9, 1944 born in Nový Jicin (Neutitschein), born in Nový Jicin (Neutitschein), at that time Sudetengau, today Czech Republic. 1966 – 1968 Admission to the just opened Berlin Film Adacemy, DFFB. 1966 Marriage with Ursula Lefkes. 1968 Birth of the daughters Annabel Lee and Larissa Lu. 1974 –1984 Author and editor of the magazine Filmkritik , Munich. 1998 – 1999Speaking about Godard / Von Godard sprechen, New York / Berlin. (Together with Kaja Silverman). 1993– 1999 Visiting professor at the University of California, Berkeley. 2001 Marriage with Antje Ehmann. Since 1966 more than 100 productions for Television or Cinema: Children's TV, Documentary Films, Essay Films, Story Films. Since 1996 various solo- and group exhibitions in Museums and Galleries. 2007 with Deep Play participation at documenta 12. Since 2004 Visiting Professor, 2006 - 2011 full Professorship at the Academy of Art, Vienna. 2011 – 2014 longterm project Labour in a Single Shot, together with Antje Ehmann. July 30, 2014 died near Berlin. 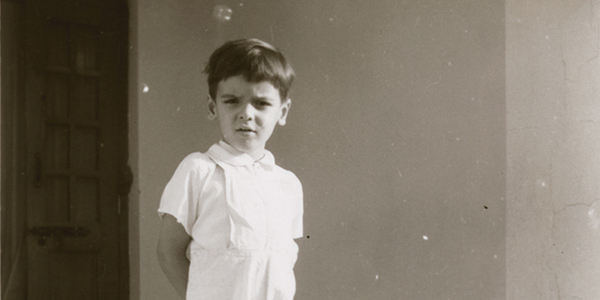 We regret to announce the passing of Harun Farocki on 30 July 2014. He was 70 years of age. From 1967 onwards, Harun Farocki directed more than 120 films and installations that analysed the powers of the image with an originality, a prescience and a gravitas that renewed itself, year after year, project after project. In his teaching and his essays, in journals and books and exhibitions conceived and produced with Antje Ehmann, Farocki was a powerful critic, editor, theorist and curator in his own right. Generations of artists, theorists and critics have taken Farockis films such as Inextinguishable Fire (1969) and Images of the World and the Inscription of War (1988) and installations such as Deep Play (2007) as reference points. His impact and influence on culture, within and beyond Germany, is undisputed. He was, and remains, a commanding figure of contemporary culture. Despite his numerous commitments, Farocki was always generous with his time, his ideas and his attention. Unlike many artists from the 1960s, Farocki was neither nostalgic nor bitter. He was forward-looking, youthful, humorous, restless, unpretentious, enquiring, skeptical, stylish and handsome. He loved football, a drink of beer and smoking his favourite cigarettes, with his friends from his travels and with his life partner Antje Ehmann. Harun Farocki, was and is, irreplaceable. We are proud to have counted ourselves among his many, many friends. We admired him and we loved him and we learnt from him, always. To say that we will miss him is an understatement that he would have appreciated.